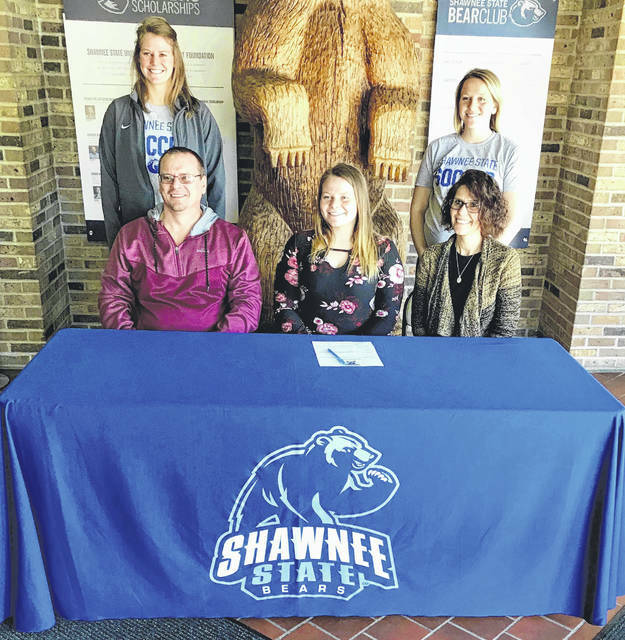 Greenfield McClain senior Hannah Smith will continue her soccer career at Shawnee State University in Portsmouth, Ohio. Shawnee State competes in the National Association of Intercollegiate Athletics (NAIA). Hannah was a four year starter and four year letter winner for the Lady Tigers, as well as serving as a team captain. Pictured with Hannah are her parents William and Monica Smith and Shawnee State Women’s soccer coaches Aubrey Sherman and Ashley Muhar.